Hey all! I just published a new video out regarding my review and install of the new GRP Plug and Play Replacement LED Halo Tail lights! Give it a quick look and don't be afraid to spoil yourself for the new year 💯. 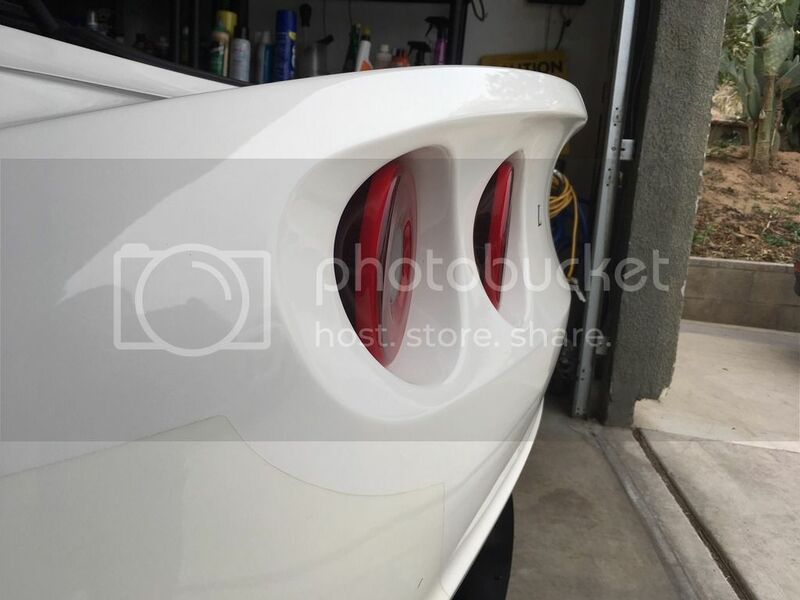 Drop a comment before watching the video and see how close you were as we measure the tail lights in the video! Click the link below for more info on the GRP Plug & Play Replacement LED Halo Tail Light Set! shay2nak, driftwood and SufjansWasp like this. So much nicer with those installed. Discount code is making me pull the trigger on the hethel cup R splitter. Lights will have to be my next mod! Last edited by SufjansWasp; 01-25-2018 at 04:10 PM. They look nice but have to say the older modified ones look brighter and more of an eye alert for stopping etc...the new ones appear too dark in a low rider way....brighter is better for an emergency I think.....why have such dark lenses? Well, the stop light rings are brighter. I liked the darker lenses as a personal preference, non tinted ones are available as well I just felt it would look nicer on my car. I'm not too worried about the stop light output, especially considering the third brake light is also there too. You could totally use it for that! it would look sick! I don't own the company, so it's not my competition GRP earned my business through years of great products that never let me down. I stand by my word, and I would never promote a company I myself don't fully believe in. My main concern with the other set is the build quality. I believe it's just all 3d printed with some spray-on UV protection. Seals were questionable. And the fact that it was as expensive as it was and didn't come with the 5 dollar adapters to make it plug and play really turned me off. I believe they're made plug and play now. But regardless, after having a full payment deposit since way back in April and being constantly pushed aside for other shipments. I cancelled my order and went with the grp set. I got Greg's part in a week... there was a slight hiccup with the order that Greg quickly rectified. He's a good dude, and I'm happy to do business with him. darkSol and oranjeboven like this. My main concern with the other set is the build quality. I believe it's just all 3d printed with some spray-on UV protection. Seals were questionable. And the fact that it was as expensive as it was and didn't come the 5 dollar adapters to make it plug and play really turned me off. I believe they're made plug and play now. But regardless, after having a full payment deposit since way back in April and constantly pushed aside for other shipments. I cancelled my order and went with the grp set. I got Greg's part in a week... there was a slight hiccup wth the order that Greg quickly rectified. He's a good dude, and I'm happy to do business with him. Oh dang! yeah.. i'm totally confident you made the best choice Did you take a picture of your new set yet? It must look great in that chrome orange !! Ah, seemed written from a commercial point of view...altho nicely done. They do look good and are hundreds less than others I've seen and when advertised they were not plug/play....couldn't imagine spending 800 bucks for something I had to personally modify to work. not yet, I went with a similar setup as you I think. Blood red tail lights, amber turn signals, and smoked inserts. Not sure if you had the amber signals though. I've just been so busy, and working on the car during the winter is tough here. Even with a garage...I don't feel as motivated to do stuff on the car. I totally agree. To be fair, I am sponsored (and very honored) as you could see in my signature but I would never work with someone who's quality of work and business ethics weren't on the same page as me. Which is why I chose to no longer work with a very disappointing sponsor in the past. ( Guess who ) However, I wasn't paid to make a video or promote things or anything of that sort- that is all my choice because I truly love the product and believe in GRP and GRP believed in my vision for my car which I show at a lot of charity events for kids, different carshows, major carshows and magazine features- all while humble enough not to boast about it himself. It's amazing that such a company (GRP) would help support me in doing something that I love which in turn makes other people happy and makes a difference in someones life. Just got mines put on. Looks great and brings the car from legacy 2007 to modern 2017! 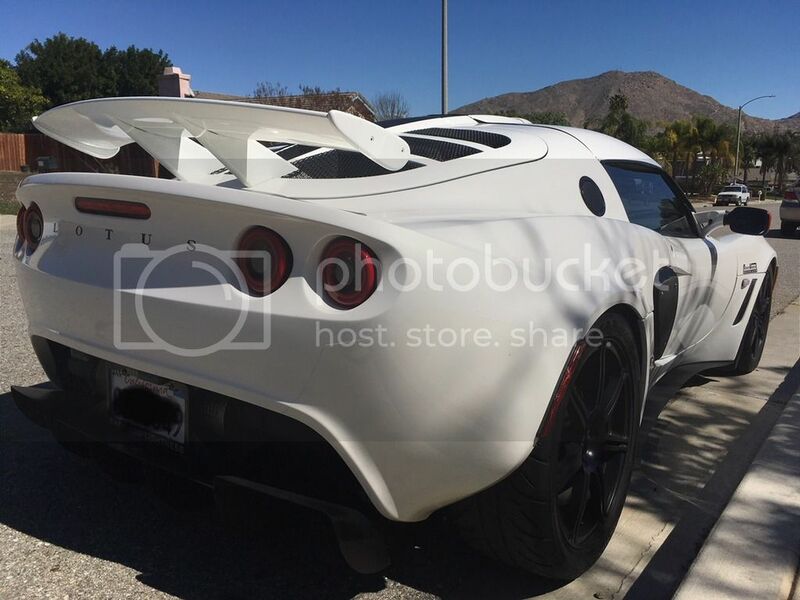 Makes the rear end looks totally different. Also, one of my inner stock lights 2 leds were burnt out so I didn't want to go the DIY route of soldering new LEDs or finding a replacement so thought this was a good time to upgrade to the HALOS. Pros: Looks great from close and afar. Plug and play easy install. Reversible to stock. To note: The kit comes a with a flasher relay to resolve the issue with the fast flashing of the turn signals with this halo kit. The kit included a 5 prongs flasher relay but my car came with only the 3 prongs flasher relay so Greg will have to send me the correct one for my car. 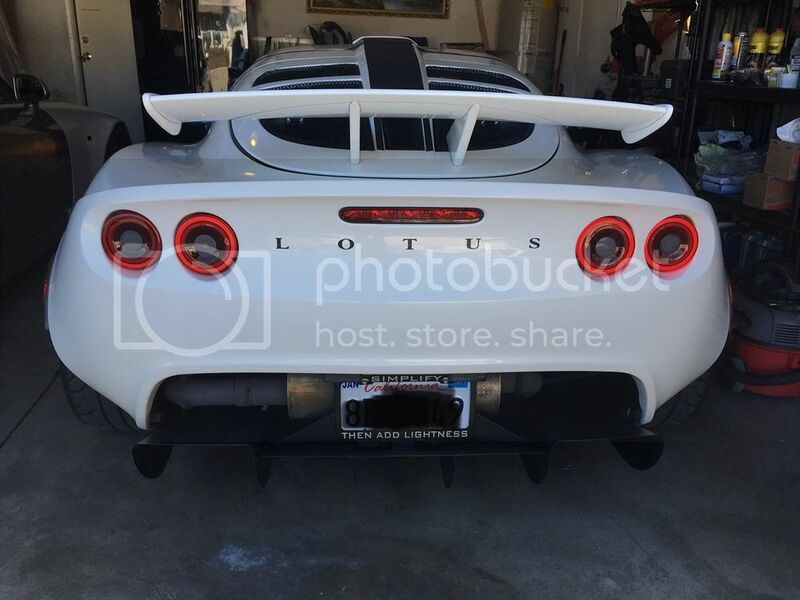 Found out that Lotus sometimes installed 5 prong flashers and sometimes 3 prong flasher relays from the factory. Might want to pull it out and check before ordering with GRP to make sure they send out the correct one (in case yours is only 3 prongs). Also, will recommend to get some foam/rubber tape to create a 'gasket' for the back of the light before mounting to to the clam since some of the small edges of the clam had gaps ever so slightly because of the hand made fiberglass clam. Overall very happy with the purchase and great customer service by Greg! Fast to respond to email! Last edited by jhentr; 03-06-2018 at 12:22 PM. Can you guys who installed the different variations post some pictures? Blood red - all lenses. LED center reverse on inner two lights. Smoked inserts on all four. No reflector. One more picture because the one above does not look correct due to a flash used. These lights are mirrors actually. You only see the depth effect when the lights are on. See this picture done without a flash. I actually got my hand in the picture by mistake! Bought lots of stuff from Greg....He's a gold level supplier! These lights are mirrors actually. Any chance they would blind the guy behind you who has too-bright headlamps?